Science makes a useful tool but a dangerous religion. 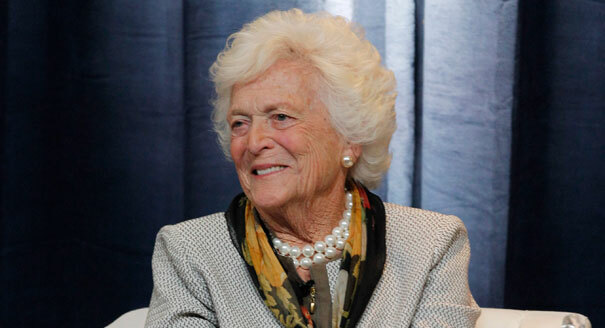 Barbara Bush, one of the least annoying First Ladies in my lifetime, died the other day. Almost instantaneously, a–er, ahem!–college professor at Cal State Fresno proclaimed her glee that the “witch” and “racist” and “mother of a war criminal” had died: so over the top, even the college was embarrassed (http://losangeles.cbslocal.com/2018/04/18/barbara-bush-fresno-state-racist-professor/). But that’s what leftids always do, isn’t it? If you think you’re the only one who’s noticed that some leftids sound like they’re demon-possessed… you’re not. Last night I selected Michael Crichton’s Eaters of the Dead to read in bed, and I stumbled over this passage in Crichton’s”Factual Note” in the back of the book. Please bear in mind that this was written in 1992, twenty-four years ago. In 1972 interllecturals still admitted there was such thing as truth. By 1992, they’d changed their tune. And here, in 2016, they never tell the truth if they can help it. Saying that there’s no such thing as truth, no such thing as an objective fact–well, I guess they think it makes them sound smart. But there are an awful lot of stupid smart people on the loose today. 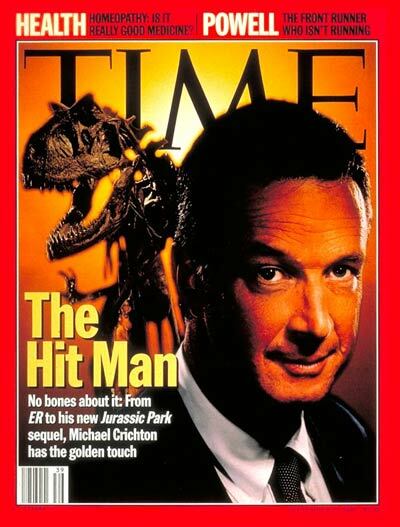 Michael Crichton wrote a lot of books. Prey, which first came out in 2002, is not among his most famous works. All the same, it still makes fascinating reading. What would happen if nanotechnology were used to create a kind of artificial life that could learn and change and remember, that would have artificial intelligence–and that would soon evolve an agenda of its own? What if it quickly passed beyond our control? And we all know what happens when you think that. So Prey is another one of these stories about what happens to those who succumb to that delusion. Folly can be fatal. It’s a thriller, it’s a page-turner… and something more than that. Michael Crichton wanted to believe in Science. In the end, he couldn’t: his integrity would not let him blind himself to its false claims and pretensions. But he also most emphatically did not want to believe in God, nor did he accept the salvation held out to him by Jesus Christ. I don’t know why. Instead, he sought for some other myth that would turn out to be true, something with which to bind together the sheaves of reality. We see him groping for this in Prey, with the notion that nature somehow “organizes itself” without conscious direction by God. But again Crichton is tripped up by his own honesty. As he writes about scientists and profit-seekers trying to imitate the self-organizing dynamic that they think they find in nature, he can’t help writing it up as a disaster. “Nothing can go wrong” just never comes out right. I’m not much interested in the science behind Prey, but I am intrigued by the author’s inner struggle. I wish it had turned out better for him. Michael Crichton never found God. But there is always hope that somehow God found him. Yul Brynner was the out-of-control robot gunslinger in 1973’s Westworld movie. 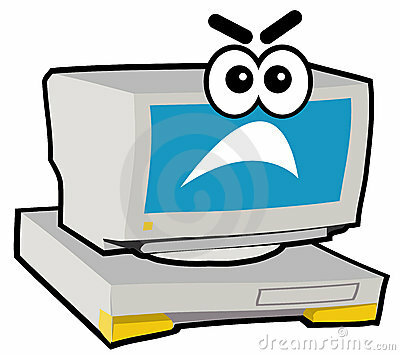 Please don’t ever think I enjoy reporting on this schlock. I am trying to convince people that wrecking the culture is not something you can get away with. The Bible should have already convinced them of that. But how do you convince a heart of stone, a wooden head? Nevertheless, I carry out my duty to sound the alarm. Remember Westworld? Written by Michael Crichton and starring Yul Brynner, this movie came out in 1973. It was all about a big theme park where you could go for the experience of living in different “worlds” of history–like the Old West, or Europe in the Middle Ages–where the inhabitants were super-realistic robots and the paying guest could be a big cheese. This was Crichton’s theme park from hell, before he wrote Jurassic Park. Of course the gunslinger robot in Westworld gets out of hand and starts killing the guests. You can take it from there. Now HBO is preparing a Westworld TV series. Apparently the writers have got the Old West confused with ancient Rome’s Satyricon: you won’t believe the contract they’re asking you to sign if you want to be an extra ( http://www.hollywoodreporter.com/live-feed/westworld-sexually-explicit-casting-contract-828287 ). And this is the toxin that the audience are expected to pump into their brains. “Fill ‘er up”–not with gas, but with slime. One shudders to imagine what pornographers must have to do, to stay ahead of this curve. This is not good for you and not good for your culture. You are not going to like the desert island upon which all this stuff maroons you. That was when I spoke like a liberal. Shameful, isn’t it? I sounded just like those liberals who cursed Michael Crichton’s survivors when he died, because he dared disbelieve in Global Warming. True, that person occupying the White House today is utterly despicable, and he has surrounded himself with toadies and creeps. His policies are evil, and should be undone. On top of all that, he’s a race hustler who has done immeasurable harm to the country which he swore an oath to protect. But is any of that an excuse for talking like a liberal? Really, I am ashamed of myself. I’m comfortable with hating what people do, especially when it goes against God’s word and they try to impose their own wickedness on whole nations. Resist it to the utmost, denounce it, try to undo it. And if the bad guys want to fight, make righteous war against them. Yes, that’s hard. But it’s what God commands. Not that any of these villains is going to repent any time soon: you don’t get to be the head of a teachers’ union by repenting evil works,. God Himself forgives sinners. He has forgiven me. And you. But of course if you’re a lefty loon, you don’t believe that, and you are free to indulge unbridled hatred and commit crimes for your cause… as witness the entire history of that lamentable 20th century. We can’t understand God’s ways. He is God and we aren’t. When it’s as counter-intuitive as this appears to be, we are thrown back on our faith: and that’s how He makes us grow. But what if someone told you it was a “recreational hunter” who had just killed this defenseless animal and was posing with the body? Some 40,000 ninnies protested on Facebook. To add zest to the report, one of those 40,000 ninnies was academic literary icon Joyce Carol Oates, famous for writing stories that wind up making very little sense but that’s why interllecturals like ’em. To qualify for this degree of jidroolitude, you have to be so out of it that 1) you don’t recognize Spielberg when you see him, 2) you never saw Jurassic Park, much less read the novel (“But it was by Michael Crichton, and he’s B-A-D, a Global Warming denier!”), and 3) you were so busy eating tofu as a child that you never played with toy dinosaurs and you don’t recognize a Triceratops when you see one, despite your master’s degree in Social Justice and Feminist Literature. They run our universities. They run our public schools. They run our news and entertainment media. And they vote.